This summer, Ffotogallery turns the spotlight onto new photographic and lens-based media work in Wales. In a series of exhibitions and events across two spaces, the main gallery in Turner House, Penarth and The Dairy in Cardiff, an off-site venue, Wish You Were Here is dedicated to nurturing and foregrounding emerging artists in Wales. The season reflects the concerns - social, conceptual and technical - of a new generation of photographic artists. Whether challenging cultural stereotypes of offering glimpses into unseen worlds, the artists offer fresh perspectives on photography whilst exploring the expressive potential of the medium. The latest solo exhibition in this series sees Cardiff-based artist, Gawain Barnard present Maybe We'll Be Soldiers at The Dairy in Cardiff. Maybe We'll Be Soldiers is a story of realisation, self-doubt, expectations and coming of age. A young person's sense of invincibility fades as they reach adulthood and the naivety of youth gives way to uncertainty around future plans. 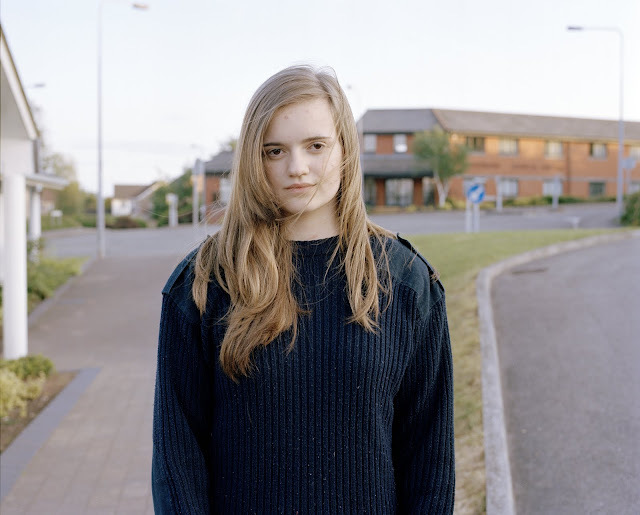 Barnard has captured that moment in his intimate portraits of young teenagers in Wales, juxtaposed here with images of forests, housing estates and underground passes. The exhibition title was inspired by the artist’s memory of the armed forces coming to his school and talking only to children from the ‘middle’ to ‘lower’ classes, being the most likely potential recruits. Barnard remarks, “It just seemed odd that the decision to join or not join the armed forces should be made at an age when we have no idea what to do with ourselves and are quite susceptible”. Barnard sees the work as partly autobiographical, evoking a time when he came to view the towns and villages he grew up in as a psychological barrier that was very difficult to see past. Being unable to drive and too young to move away, these familiar landscapes can become an obstruction to seeing a future beyond one’s immediate situation. Maybe We'll Be Soldiers opens on Thursday 8 September and continues until 24 September and is accompanied by an Artist Talk on Thursday 15 September at 6.30pm.